The notorious Daltons on the loose would make any rational individual shiver. Apparently, burglars nowadays are not any less infamous, yet they generate more fear from the people for they are not simply villains of a humorous show but exist very much in a society without Lucky Luke to be the hero. Every burglar has his own technique with which they operate. Whether the burglars are as witty as Joe or as idiotic as Averell remains to be seen. However, just like the four brothers were differentiated by their own particular character, burglars can equally be labelled into four different categories. Prize: Unlike the Opportunist thief who steals whatever is available, the Targeted plunders luxury objects that yield a far greater reward that can be sold to others or shipped to other members of the Ring. Undeniably, there is legitimate reason to be scared of all the four types of burglars. However, the solution for requires only one technique: protecting your home with the appropriate security. Of course, the one and only way to ensure burglars are kept outside the premises of our houses (since we unfortunately cannot find a genuine cowboy-shooting-faster-than-his-shadow yet) is by securing your property with the appropriate measures to ward off potential criminals. Obviously, this means that you have to make your home less of a target, install the necessary gadgets and security devices to warn you and your family of any stranger and threat of intrusion. Besides, you should keep in mind (and share with the family members) all the home safety tips, regarding entrances, outer buildings, gardens or yards that are burglars’ favourite playgrounds. So, the success of these criminals depends on your carelessness, forgetfulness and hence defenceless property. Even the smallest action can make a difference. You do not need to shoot faster than your shadow-closing the doors and windows whenever you are leaving a room or your house, as well as fitting the suitable Security Bars, can be the biggest downfall for all types of burglars. 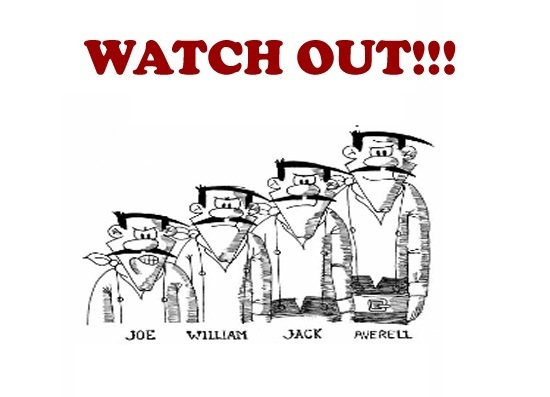 Here at RSG Security, we are The Lucky Luke! Roller Shutters, Security Grilles, Security Gates, you name it! We manufacture it all and the best we provide a complete supply & installation service in London and surrounding areas. Please call us on 0208 123 1088 or get in touch via our contact us page.